Sip your way around northeast Tenerife’s wine country on a private, full-day experience. As your guide chauffeurs you by air-conditioned minivan, learn about the island’s volcanic soils and wine production, and admire the vine-dotted, rugged countryside. 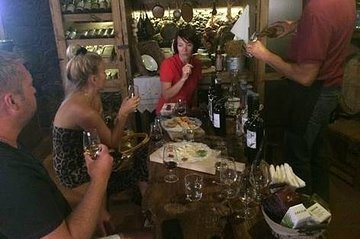 Run your palate by some wines at the impressive Bodega El Lomo, and try some varieties alongside a delectable lunch (own expense) at the delightful, sea-view Bodegas Monje winery. Lastly, visit the charming Museum of Malvasia in Icod de los Vinos to taste examples of Tenerife’s most famous wine export — syrupy, sweet Malvasia wines.